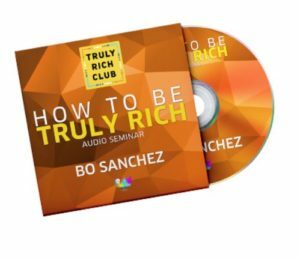 Truly Rich Club is founded by Bo Sanchez which aims to help every Filipino to become truly rich by teaching affiliate marketing and investing in stock market. It is not a scam, not even multi-marketing and let me tell you why. Passive income means you are receiving money even while you are sleeping. Literally and figuratively speaking, the money is working for you and you don’t work for the money. Well perhaps, you will answer a big YES to the question above. Really, who doesn’t want it anyway? BUT THE REAL QUESTION IS HOW? Well, there are numerous ways out there, like for example, you can earn passive income through real estate or opening a high-yield account that is if you are rich enough to open one and or own a rental property. I wasn’t born rich. But I have learned that there are two most effective ways for you to generate passive income. One is through Affiliate Marketing which this website of mine is a true manifesto for that as I really make money from blogging online. And secondly investing in stock market. The online world is vast and becoming extremely important at this age. As a Virtual Assistant (VA) and Blogger, I want to help you grow and if you are a starter on this, I highly recommend you start with learning how to do affiliate marketing. I know, these are all really crazy marketing jargons. Actually, from the first time I heard these things, I was utterly overwhelmed but let me tell you my story of how I started and hoping I can inspire you in some ways. I have a steady job and before working as Assistant Restaurant Manager in one of the big fast food chains in the Philippines. I was happy back then, the job is great, I really like it, it wasn’t job for me but customer service has been my bread and butter ever since, it is my passion. But as a breadwinner in the family, I needed to earn more because of our growing needs. I was stuck way too deep on debts just to meet our needs like my brother’s tuition fees, utility bills, unexpected emergencies, and circumstances. Living abroad is very hard especially being away from your family. We learned to raise and build our family in our own way. Though we are fortunate at this time that we have a bunch of technical tools and apps that can help ease the feeling of sadness this is a different country that we’re not used to living with. I guess all OFWs share same experiences no matter where they may come from. You have to work hard because you have to pay your monthly bills and expenses. I am lucky to have my boyfriend with me then. But it is a scary thought you get to leave behind your loved ones and live your own in a foreign land with different culture and lifestyle. Especially when you have a family that grows bigger, you are faced with more and more responsibilities. We don’t have any investment back home. And at the age of 30ish, we started to think about our future. Where are we going to retire? Are we staying here for good? We start to make plans ahead. That’s the time we have decided that we have to look for the BEST investment out there. If we are going back to the Philippines we might as well get back home plenty of money before we are ready to retire. Picturing ourselves traveling together enjoying hard-earned money. We don’t know what the future holds. And so we started to invest in stock market. 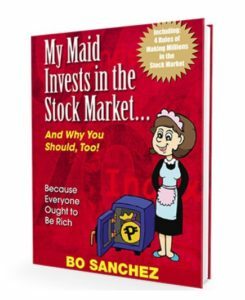 I have been following Brother Bo ever since, subscribed to his Kerygma daily emails, and that time he was promoting this book My Maid Invests in Stock Market. Before you venture into an investment, the basic thing to do is doing your own research. Bear in mind that every investment is risky. That is why you look for the good and bad reviews and the testimonies. And ask yourself if you are willing to take a leap of faith and hop into this gigantic risk. 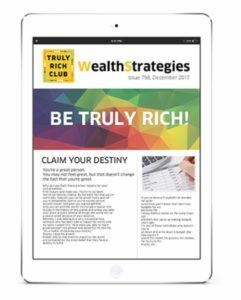 Investing in stocks can be scary – and yes, it truly is – especially if you are clueless but Truly Rich Club will help and guide you on which stocks to buy. I have to be straightforward on this. Having your own business is really good. But don’t get me wrong, if you invest your money in stocks WISELY I bet you will earn more profits ten-folds. Why? You don’t have to think about permits, licenses, labor or your manpower, machines, money, etc. all the costs you can think of when you have a business. Investing in stock market wisely and strategically will waive all of those for you. When you invest in stock market, please do not expect an overnight return of your total earnings from your shares. TRC is teaching LONG-TERM INVESTING guided by the SAM (Stock Averaging Method) available daily. If you have money goals, TRC will teach you how to achieve those. 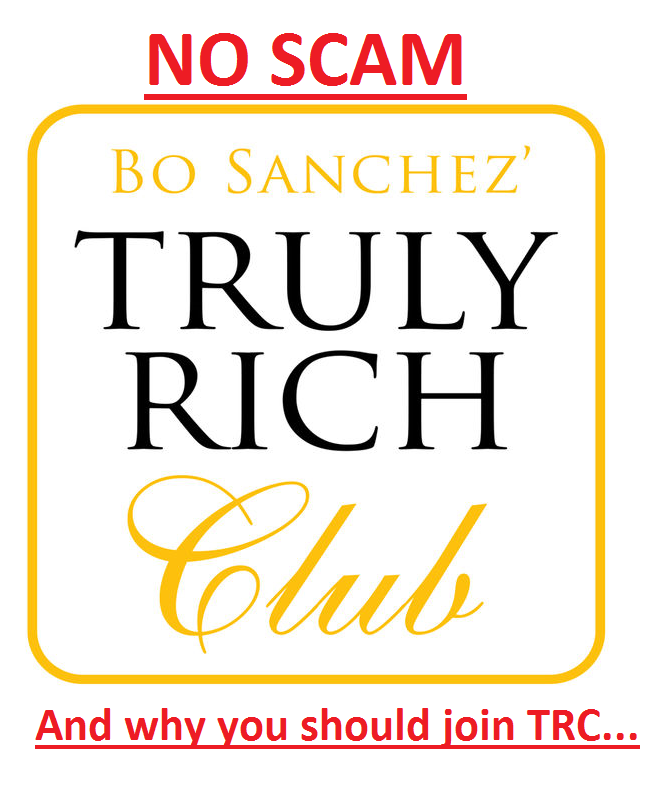 Truly Rich Club is dedicated to helping every Filipino to become truly rich – physically, mentally, spiritually. For OFWs like me, it’ll be wise if you will join Truly Rich Club as they will give you updates all about stocks and investments and current market trends. 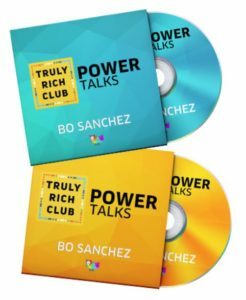 Joining Truly Rich Club (TRC) offers two great things. You get to be an affiliate by promoting TRC to your friends and family. Investing in the stock market and becoming wiser in mind and spirit everyday guided by the TRC teachings. I have been a member for one year now and I like it here, I even subscribed for another year. It is really up to you, you can try the monthly membership if you’dl like to. But like Brother Bo is teaching us, simple strategies can make you very rich. And that is what they teach and it feels good knowing that you are confidently and constantly harvesting the fruits of your labor. Let us take a look at the following inclusions one by one. 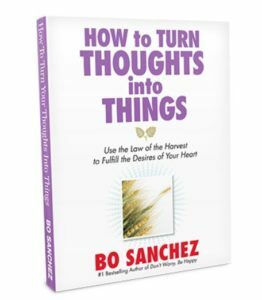 These are audio talks from Brother Bo sent twice a month, to keep you motivated, inspired and keep you on track with your goals. Brother Bo invites his colleagues like Edward Lee, Bernie Liu, Francis Kong, Brian Tracy, etc. – the top Filipino influencers and successful people. Brother Bo interviews them about their experiences and I love that they share lessons in life. I love watching these videos because it definitely drives one soul and draws great inspiration from these leaders. 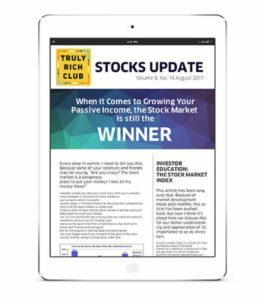 This is where your hard-earned money is making sure being taken care of through WealthStrategies newsletters that are being sent to your inbox every month to keep you updated on your investments and how the market goes. Every day you receive an inspirational message. It just feels good because this can make your day. Some of the messages struck you and made you ponder and helps to remind you to thank God every day for richness and abundance of blessings in your life. You get to be invited to various TRC seminars exclusively for its members, some are free while some have fees but they do it mostly in the form now through webinars. The webinars are free and I really like it because I live overseas. It is like a video conference call wherein you get to listen to the speakers, wherever you may be, as long as you have internet access. As an affiliate member of TRC, you get to have exclusive updates on market trends. Brother Bo is not affiliated with anyhow with COL Financial but that is our broker and he has been working with Mike Vinas and together they send updates so the TRC members are guided accordingly. TRC also has a unique SAM (Strategic Averaging Method) a table of stocks that will guide you on what stocks to buy, when to sell, or even when is the good time to hold your stocks. 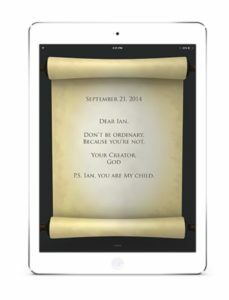 You will receive 3 eBooks from Brother Bo for free. 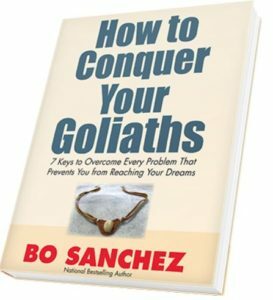 During my time, they are giving out How to Turn Thoughts into Things, How to Conquer Your Goliath, and You Can Make Your Life Beautiful – these are all best-selling books by Bo and these are all given to you for FREE. You get to invite other people to join TRC and share your blessings with them. Every member is given a unique affiliate ID that you can share with your family and friends on Facebook. You also get to learn how to invite and know ways on how to promote TRC – thus teaching you how to do Affiliate Marketing and earning commissions thus your passive income. As an affiliate of TRC, I am proud to say that our investments are all going well, it is not all green all the time, in fact, with how the market is going on right now, it is mixed green and red. Green means it is growing, red means you are losing. But I know in my heart, we will never go wrong with our choices. My husband and I both know that we are long-term investors, not an active trader so there is nothing to worry about. Truly Rich Club is not just all about money. Couple with gospel teachings and inspirational messages we have been receiving are absolutely food for the soul. I hope to inspire others just like the way it inspires our lives right now. I would like to share this wonderful experience with other people who are looking for better ways how to save and invest their hard earned money effectively and earn your passive income gradually but surely. Let us all gain financial wealth and spiritual abundance at the same time! 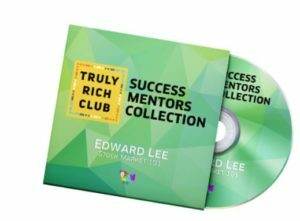 If you would like to know more about Truly Rich Club CLICK HERE to to learn more. UPDATE as of April 30, 2018: Brother Bo has just released that his maid, Gina Macahilos, is now a brand ambassador of TRC and known for being a Maid to a Millionaire. Gina is truly a testimony that everything is possible, especially to those who believe they can succeed. Thank you for reading and may all our dreams come true!